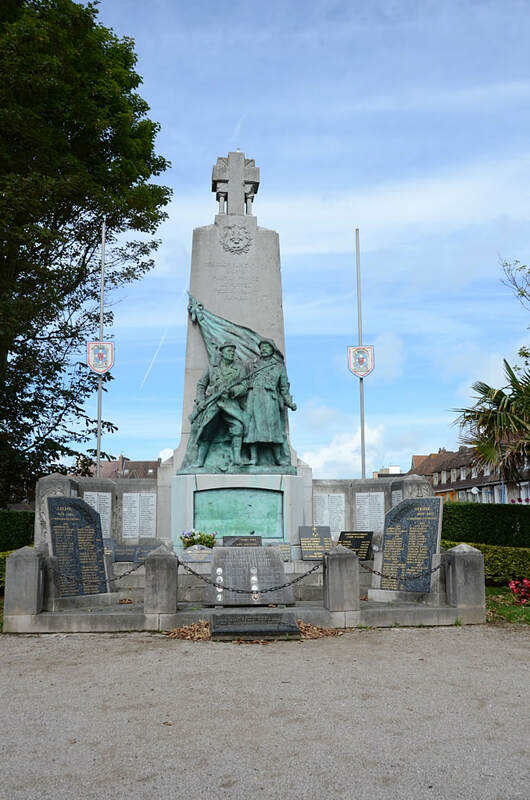 Le Portel is a fishing village and southern suburb of Boulogne. 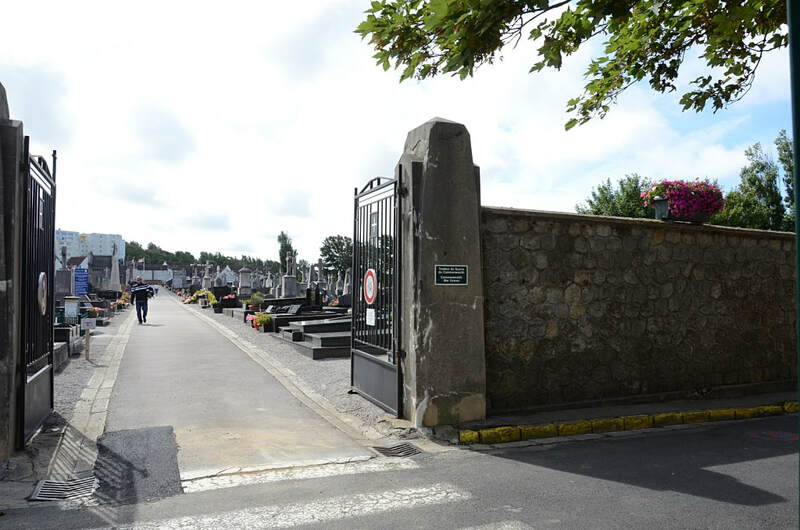 The Communal Cemetery is near the church. 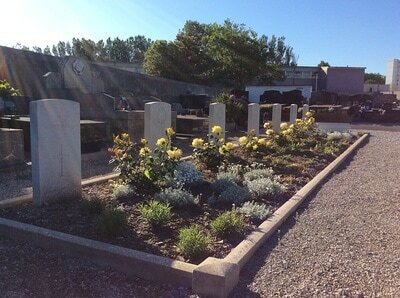 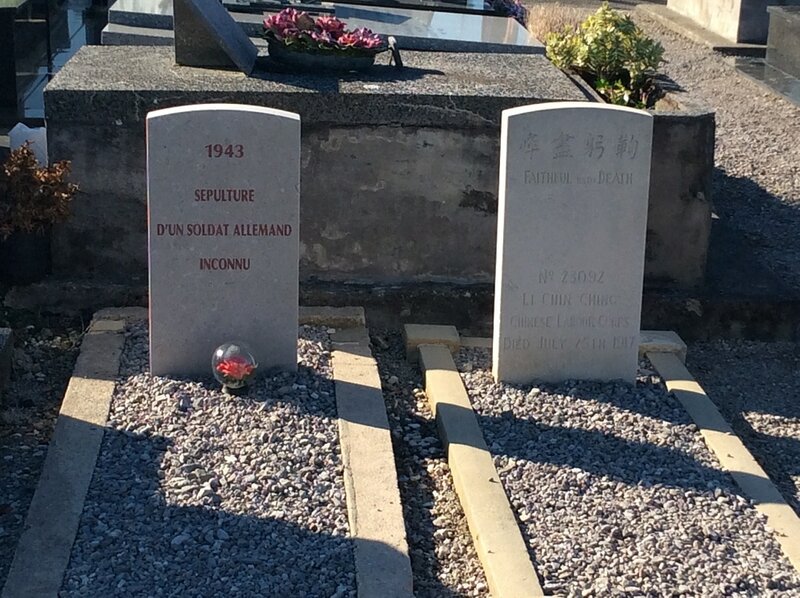 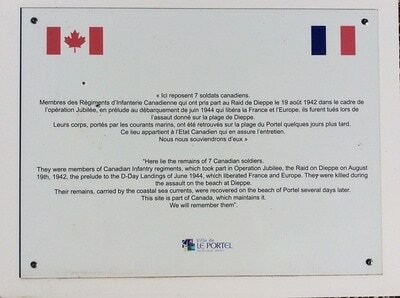 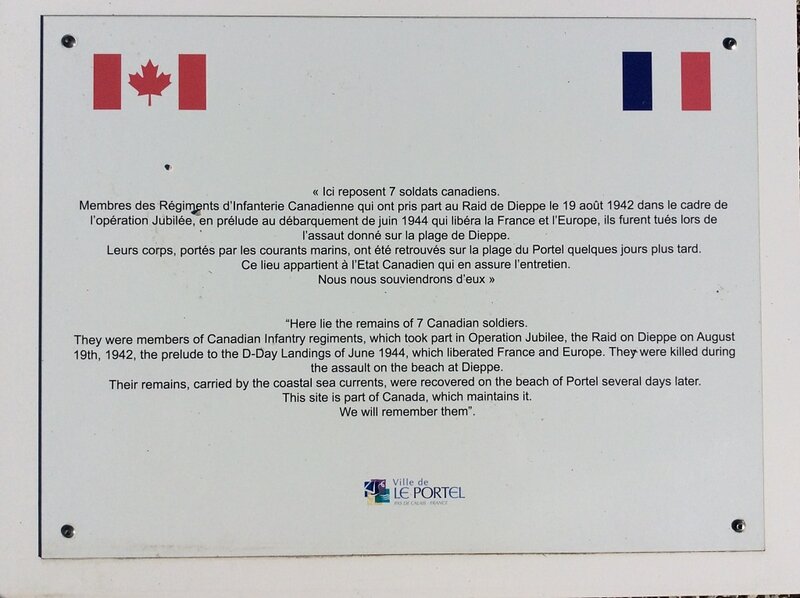 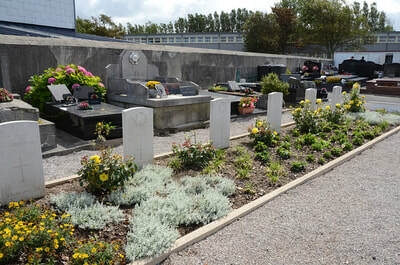 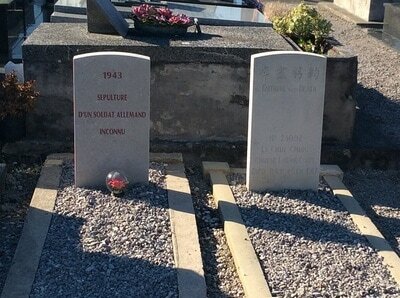 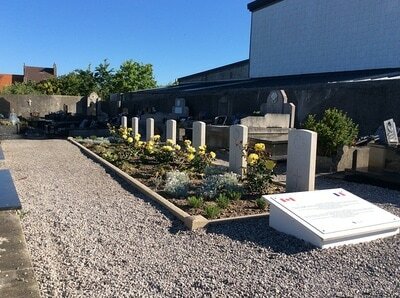 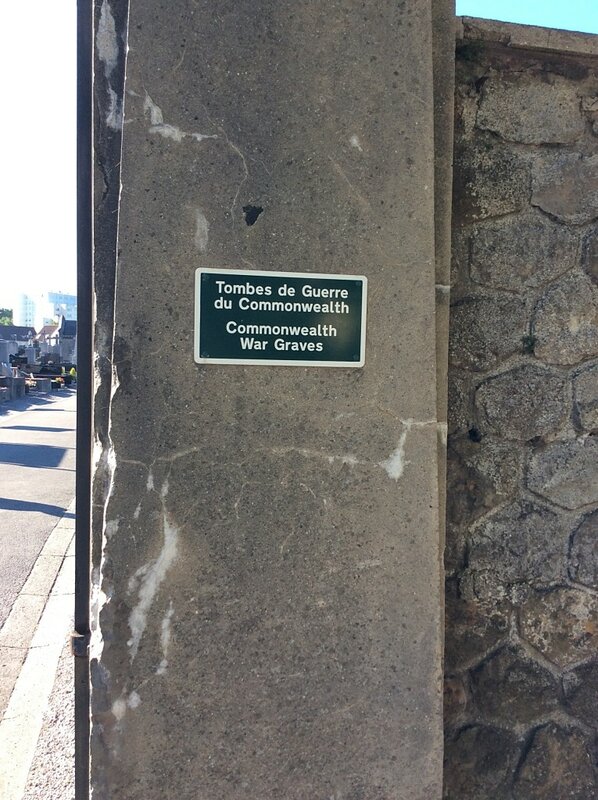 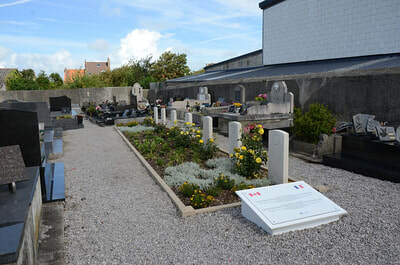 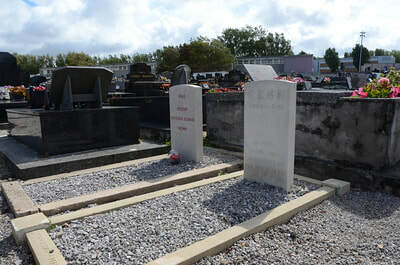 Near the north-eastern corner, in the new part of the cemetery, are the graves of 7 Canadian soldiers of the 1939-1945 War, 5 of whom are unidentified. There is also one 1914-1918 war burial in the cemetery. 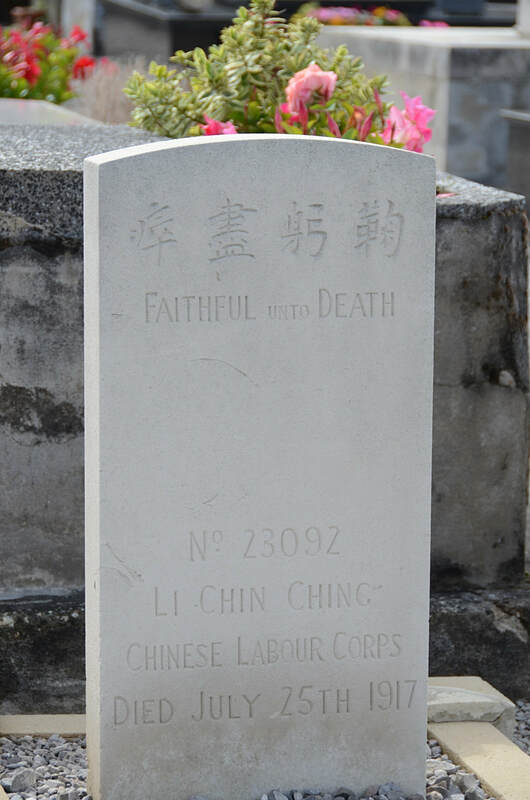 23092 Labourer Li Chen Ch'ing, 34th Company, Chinese Labour Corps, died 25th July 1917. 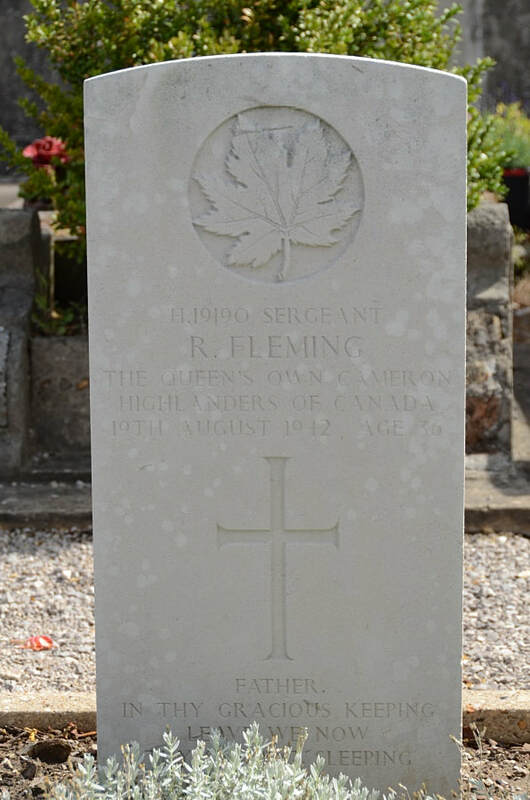 H/19190 Sergeant Robert Fleming, Queen's Own Cameron Highlanders of Canada R. C. I. C. died 19th August 1942, aged 36. Son of James and Christina Fleming; husband of Mary Moore Fleming, of St. Boniface, Manitoba, Canada. 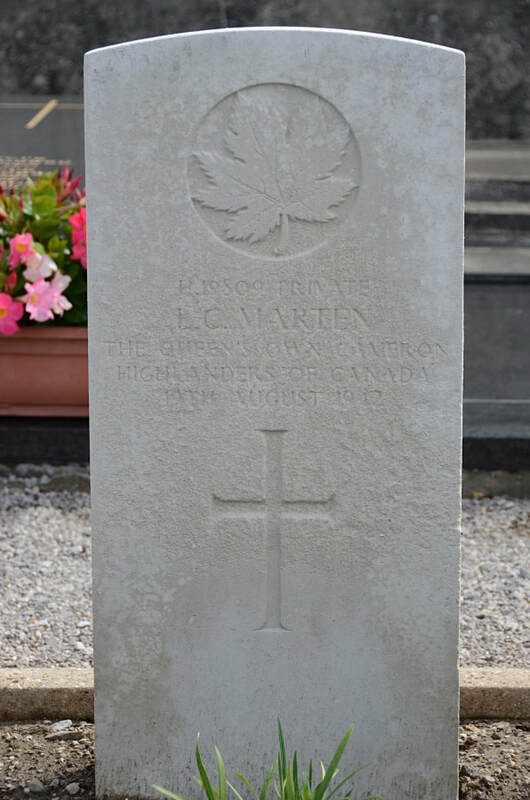 H/19809 Private Lionel C. Marten, Queen's Own Cameron Highlanders of Canada, R. C. I. C. died 19th August 1942.